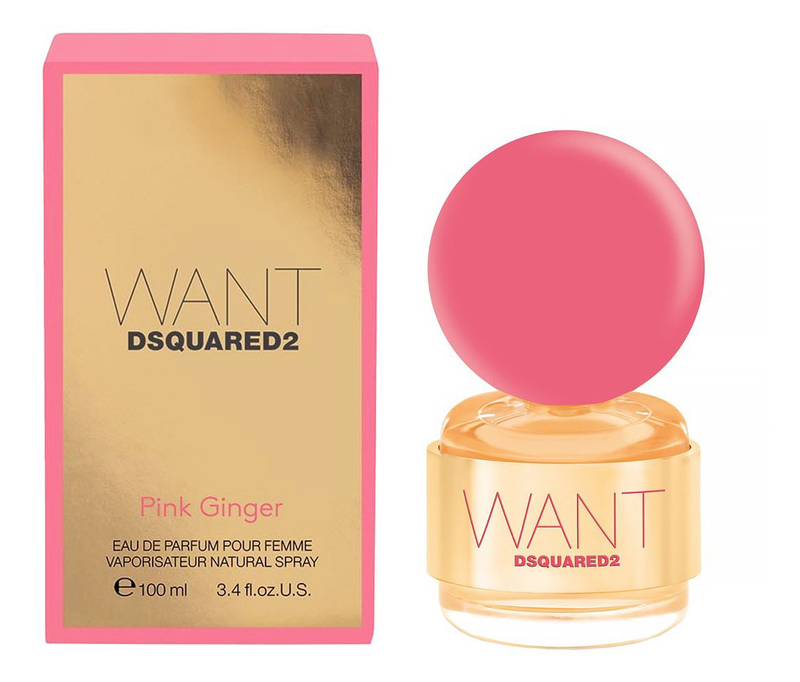 Want Pink Ginger is a perfume by Dsquared² for women and was released in 2016. The scent is powdery-woody. It was last marketed by Angelini Beauty. The heading to my comment may sound a little strange, but it describes this fragrance in my eyes very well and aptly. Pink Ginger is a flanker of the normal "Want", which has a white lid. By the way, I find this plastic lid quite strange and oversized, but let's get to the fragrance. Pink Ginger starts as described with citrus chords and a good load of pepper. I can perceive this most clearly here at first go. Already now I inevitably get associations with a men's fragrance, but I want to be patient and give this fragrance its chance. Slowly a bitter vanilla is added in the heart, which is also nice warm but for my taste could have been sweeter to blow away the pepper a little bit. Flowery notes of rose and heliotrope knock shyly, but are not let in. Also here the fragrance could have gotten the curve into the more feminine again, but unfortunately this was not really successful here. At the end the scent is underlined by woods, which intensifies the overall impression. Write the first Review for Want Pink Ginger!